The virtuoso talks to Darran Charles from Godsticks about his first ‘proper’ guitar, Univox, Teisco, JEMs and a whole lot more besides. 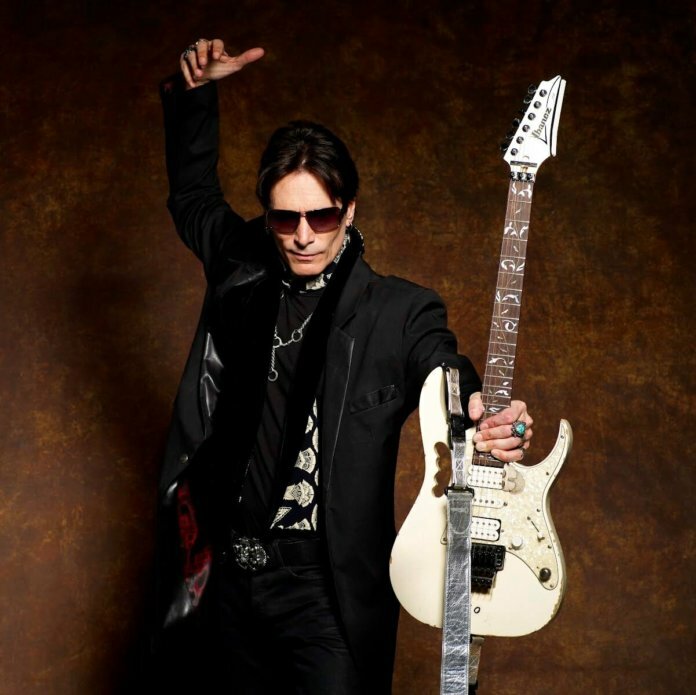 Our recent encounter with the highly affordable Ibanez JEM JR inspired us to ask Steve Vai himself about his early encounters with guitars aimed at beginners. What was your first guitar and how old were you at the time? Although things have improved considerably, back in the day many beginner’s guitars were of a relatively poor quality. Do you think there are any advantages to starting out with a comparatively sub-standard guitar? Or do you think such a guitar has the potential to deter progress or cause someone to quit? “It’s always a good idea to start on a decent instrument. You can get a great instrument cheap these days. You want to have something that will be able to stay in tune and have good intonation. The neck should be able to set the action as a low as possible without any buzzing so it should have a decent and straight neck on it. What was your first ‘real’ guitar? Did you have an idea of what you were looking for at the time or was your choice influenced by your favourite players? “My first gig was at my high school, where I played at a high school dance with the band I was in called Circus. I had a Univox Les Paul copy. I always wanted a Les Paul because that’s what Jimmy Page played, but I always wanted a Stratocaster because that’s what Jimi Hendrix played. What qualities do you think are important when buying an entry-level guitar? Although the JEM JR didn’t exist when you first started out, do you think that it would have appealed to you at the time? Last year the JEM reached its 30th anniversary: what do you think is the most significant change it has undergone since it was first introduced? “It has never really gone through any significant changes with the exception of the aesthetics, meaning the colour, and perhaps various pickups and slight neck alterations.